Little Cuba can be found in the North Hills shopping center, anchored by Big Lots just South of I285 exiting onto Chamble-Tucker Rd. The street address is 3350 Chamblee Tucker Rd, Chamblee, GA 30341 if you're using a map app. 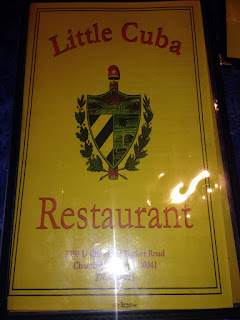 With so many other good restaurants in this out-of-the-way corner (Mediterranean Bakery, Heart of India and the Junxion - there's also a very palatable NY Pizza joint and a Subway) Little Cuba gets a bit lost. It's located on the left side of the shopping plaza, so left of Big Lots as you look straight on, about halfway down that part of the "L" shape. 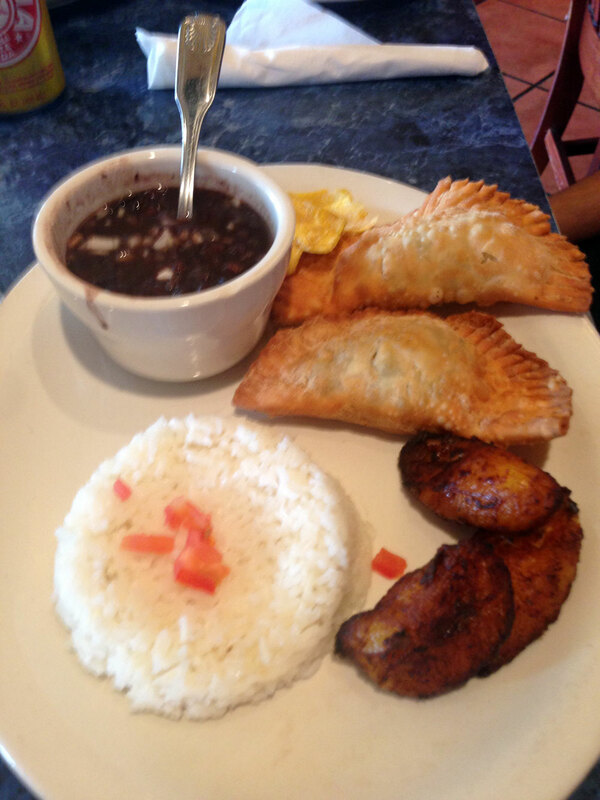 I've eaten here several times with friends and coworkers - while it doesn't touch Papi's or D'Cuban, the food is is above average and good for a mix-up or change of regular pace. I've eaten here both for lunch and dinner, but most recently for lunch so I'll focus on what we ordered during a regular lunch - overall it took about an hour to order and finish up - with travel time we were back in the office in an hour and a half. 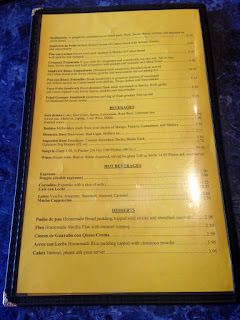 The menu is fairly extensive with many options - prices for lunch and dinner portions are handy and with the same item in the menu - you can order either - I don't remember how much larger the dinner portions are compared to the lunch. Prices seem very reasonable. 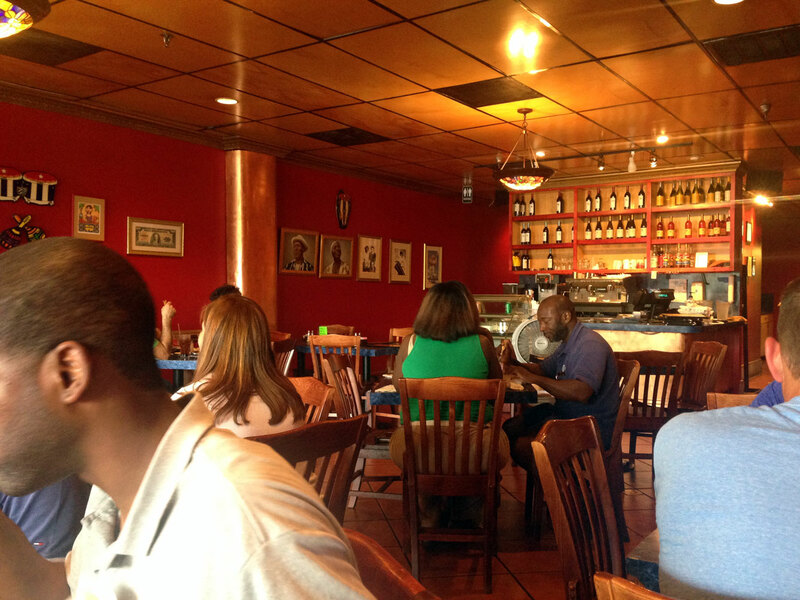 The interior is smallish with dark red painted walls and the staff is very friendly - I thought the service good to above average. There's also plenty of parking, although many of the spaces close to the restaurant are taken up by the employment office close by. On the last occasion I had a couple of Spanish speaking friends and they were able to provide a bit of insight - I lived in South Florida for a short time so I've had some of this stuff before - in general everything was good but not great. I would like to have seen larger portions and more distinct flavors to take things up a notch. 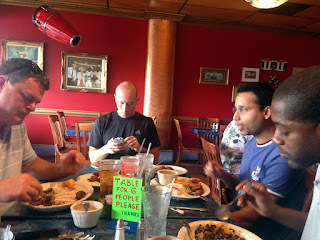 For apps, I've had the maduros (sweet plantains), tostones (crisp plantains), homemade chips and the arroz congri - all were more than palatable although to my tastes they cold have been spiced up a bit (but don't take it from me - that's just my desire for everything spicy). 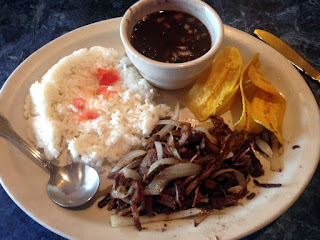 I usually order the ropa vieja - which is good here but once again I wish the portion was a bit larger - actually I like vaca frita a bit better so either will do - the ropa vieja is quite palatable with the distinctive tomato flavors. 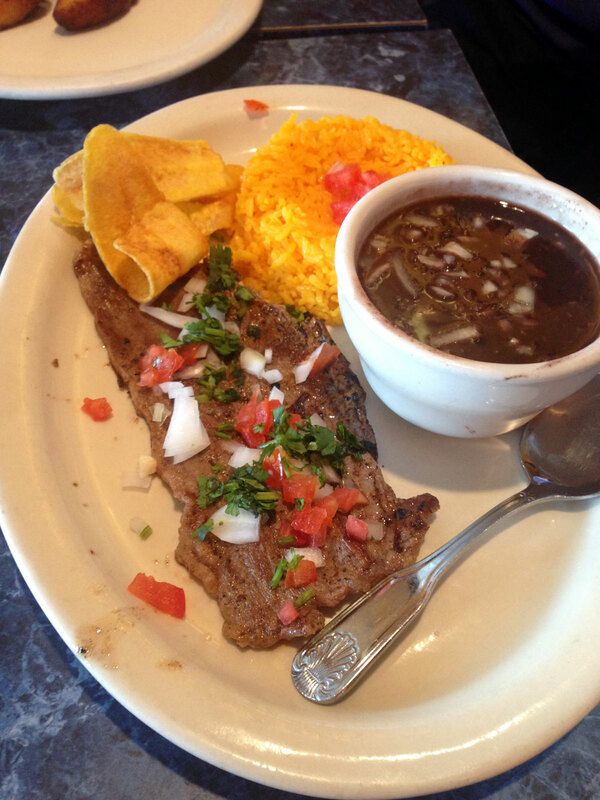 Both the Bistec Encebollado and the Bistec Palomilla are worth trying - thing sliced grilled sirloins - can't get much better than that. 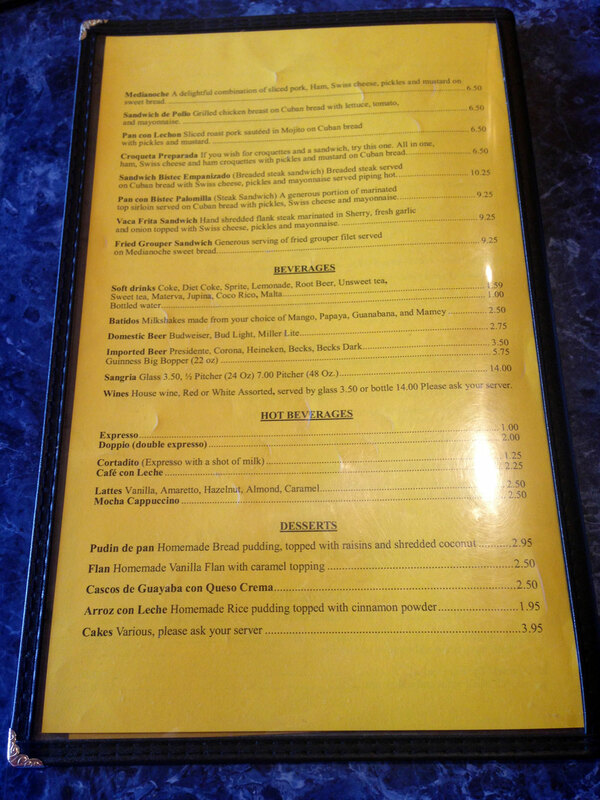 The empanadas are good here but I've had better. Not that these are bad but once again I like stronger flavors. 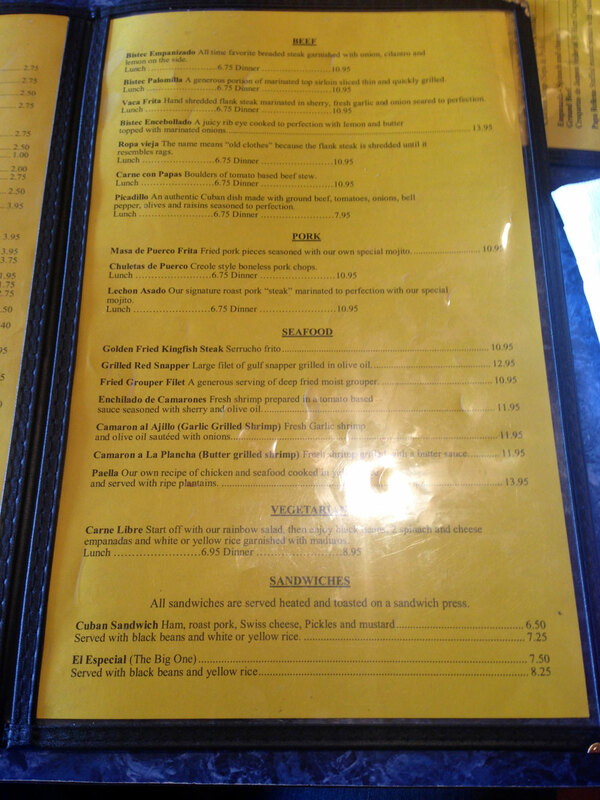 I've tried the sandwiches and they are OK, but I actually like those at Papi's better (spoiled a bit I guess). And really, that's the hard part - with Papi's (Tucker) and D'Cuban (Buford Hwy hear Jimmy Carter) so close it's hard to justify making a trip here unless I'm in the mood for Cuban that's close to work or home. 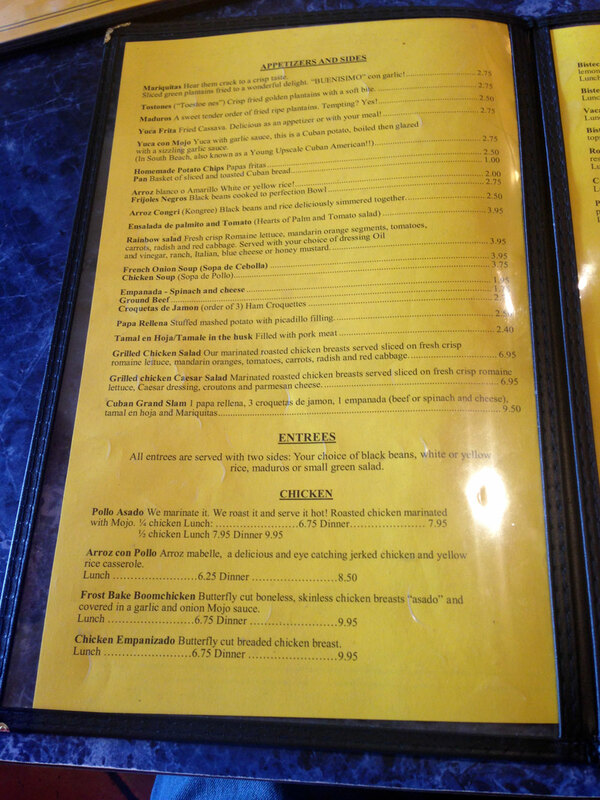 I'm not sure felling lazy is a value add reason to eat here but there it is.